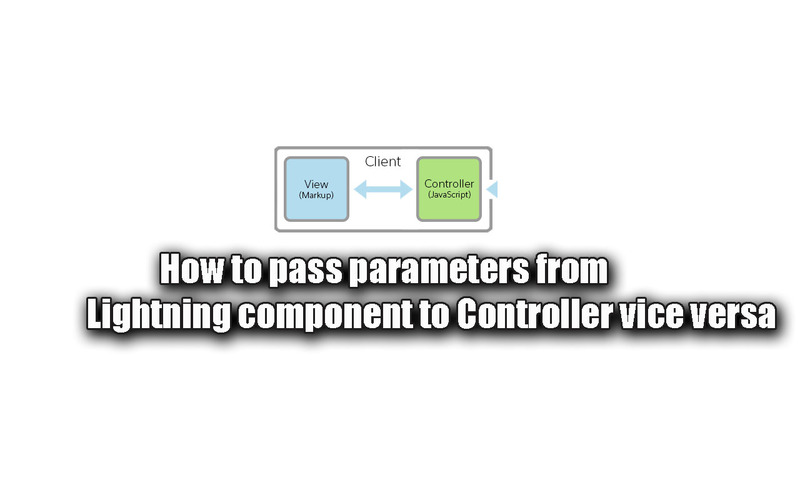 In this tutorial we are going to learn how to pass parameters from Lightning component to controller vice versa. By using component.get(v.attrinuteName) or component.find("aura:id").get("v.value") we can pass value from component to controller. By using component.set("v.attrinuteName",value); we can pass value from controller to lightning component. In below code empName attribute used to store the data which is entered by user in ui:inputText. when user click on button "callme" function gets called and the value entered in inputText box will be passed to the attribute "empName" and the result will be printed.